Welcome to the 2018 Sukhoi Campaign! This campaign will be all about the fine stable of aircraft coming from the Sukhoi Design Bureau. The campaign will run from 1 August, 2018 through 1 March, 2019. Looking forward to the builds highlighting our Russian comrades! Of course, this ain't my campaign. Any preferences? Any other ideas? I just hate seeing that space on the campaign page stay blank. 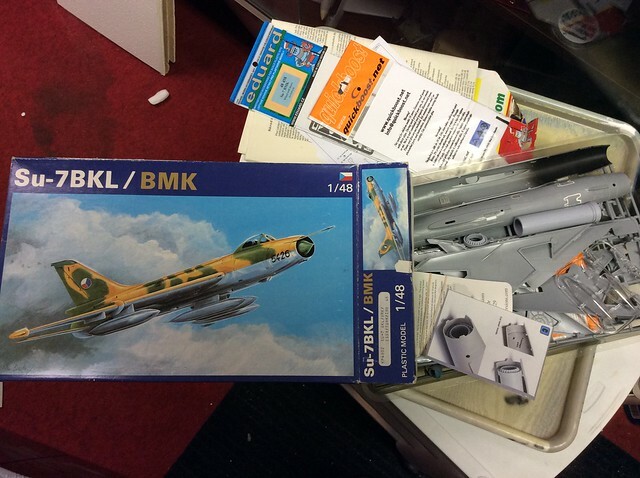 I'm all for the older version Michael, I'm thinking about building the ICM 1/48 Su-2 for this campaign. Thanks for setting up and starting the thread Michael. You bet, John! Thanks for running the campaign! There are many choices in the Sukhoi family. 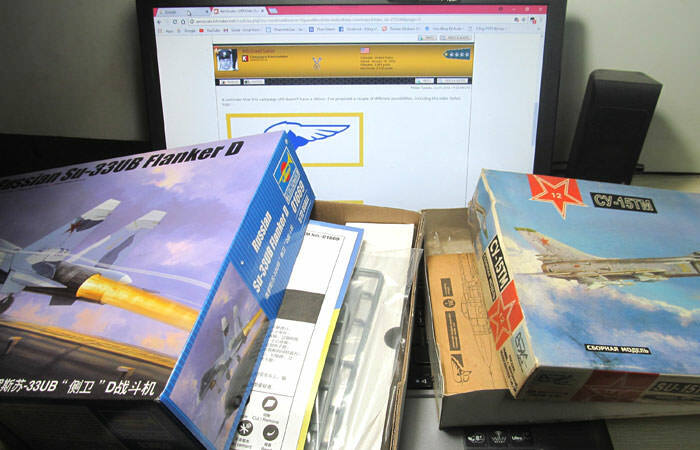 I pick a pair of aircraft, Trumpeter Su-33UB and VES Model (?) Su-15TM in 1/72th scale. Looking forward to see both kits on the bench. Trumpeter kit from 2002. I think it has some accuracy issues, but I'll anyway build it out of the box. Haven't decided if it'll be in Ukraine or Russian markings. It's a really big jet. I will build it the red 21 in Syria. I have to look which weapons does this jet carry. Thank you John. I'll try. Hope to see more Sukhoi birds on this campaign. Removed by original poster on 08/10/18 - 05:26:46 (GMT). Here’s my entry. It’s been in the stash since the late 80’s or early 90’s. Anyways, I’ve got a bunch of aftermarket for it. We’ll see how far I can get with it. Michael, I would go for the top ribbon. Maybe add a blue or red background. The previous Sukhoi campaign used the new design with a Russian flag as background. I guess it should look different from the previous one. Ryan, I build that kit some years back with a lot of after market stuff as well. It is a tough one. The fit is decent, but there are lot of things to improve! Looking forward to follow your build. I just signed up, but have not decided yet on what to build. John, what do you think? Anyone else? I like it! It should show well in the small size. Great work there Chris !! I will join with a Su-7. I've had this Italeri 1.72 Su-34 kit for a long time, glad to start building it. OOB except for the resin seats. 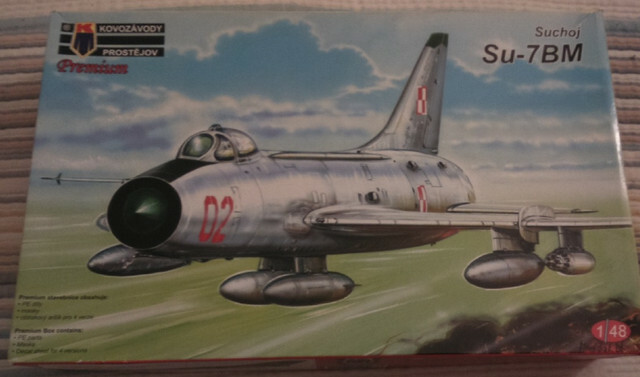 I have the Trumpeter Su-9 in 1/48 in mind for this campaign. It has a basic cockpit that could use a bit of zipping up. Someone had a complete resin set out but this seems to be gone now. Does anyone know of an ejection seat or set of belts that will work? I imagine the seat was used on other Soviet aircraft of the era but I do know this for sure. Initial production had the KS-1 ejection seat. Later production used the KS-2 seat. Final Su-9 production used the slightly improved KS-2A seat. Later, all surviving Su-9s were refitted with the KS-3 seat. I started that kit Trumpeter kit, make sure you add somee weight on the radar cone. The wing flaps are fragile, I broke mine. Research the paint guide for the missiles. The fitting is nice, I really liked the detail on the surfaces. A few months ago it fell to the ground and I lost my mojo and didn't finish it yet. Just some pitot tubes and landing gear to add I finish the painting. It's quite a simple straightforward build. Thanks John, the steer was a helpful one. I ordered the Pavla seat and feel it will be a lot better than the kit seat. This is my first aircraft project in some years and I might have forgotten things like the nose weight. Who wants a tail sitter? I hope you get back you your Fitter, I would like to see how it is coming along. Here is the start of this project. 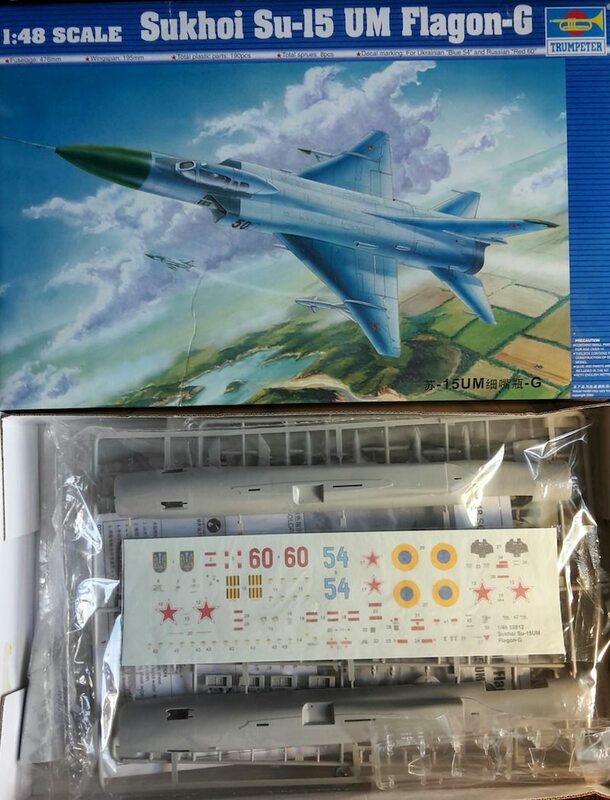 I have not built an airplane in many years and will have to make friends with my airbrush to build this one. It will need natural metal. 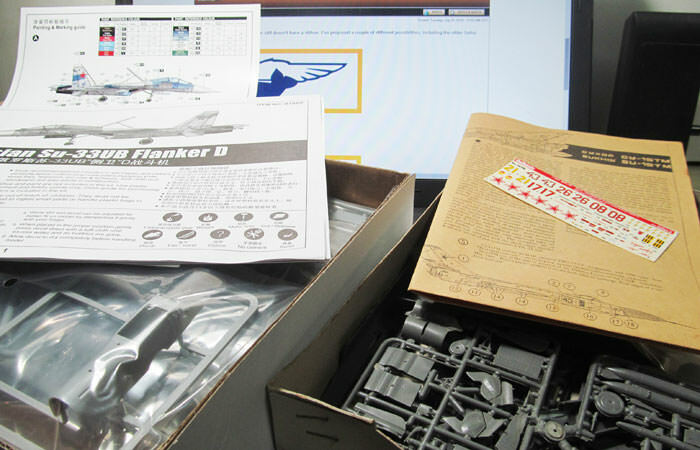 The last time I did that was a Revell 1/72 P-47 which was brushed with Pactra Aluminum paint, 45 odd years ago?